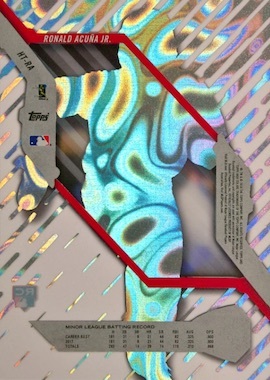 With two on-card autographs per box and a multitude of patterns done on acetate, 2018 Topps High Tek Baseball is still one of the more unique MLB sets every year. Although it maintains the same basic output as 2017, High Tek 2018 makes a few changes. 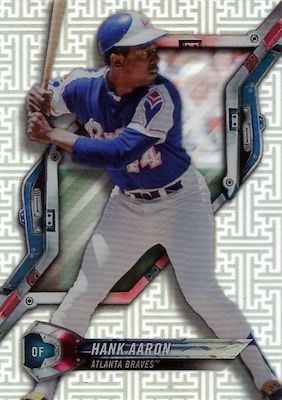 The base set again contains current stars, top rookies and retired greats, adding many different versions to track down. Options include Rainbow Foil (10 per pack), Magma Diffractor (3 per pack), Orbit Diffractor (2 per pack) and Galactic Diffractor (1 per pack). There is also a one-of-one Gold SpecTEKular Diffractor. 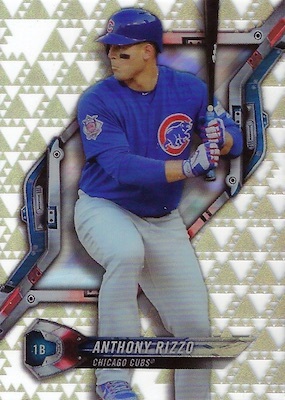 These are joined by parallels such as Blue (#/150), Green (#/99), Black (#/50), Orange (#/25), Red (#/10) and Gold (1/1). Collectors can expect multiple patterns per box, as well, including eight from Pattern 2, six from Pattern 3, and four from Pattern 4. In past years, there were nine different patterns, with the highest numbers being the rarest. 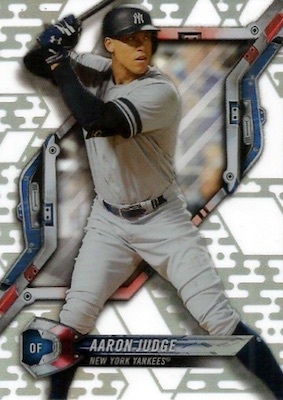 Covering top names in the 2018 Topps High Tek Baseball checklist, the Black and White Image Variation cards are sure to stand out. The main version is numbered to 50 and these have a Gold SpecTEKular Diffractor (1/1) parallel, as well. 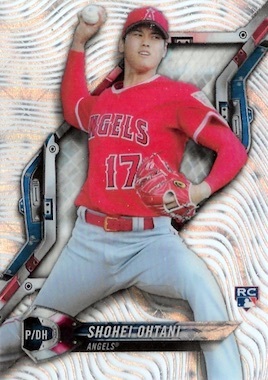 The 2018 Topps High Tek Baseball inserts include PyroTEKnics (#/99) with a fireworks design, PortraiTEK (#/50) for the vets and former greats in a more casual pose, and Rookie TEK (#/99) for the top young talent. Each set offers Orange (#/25) and Gold SpecTEKular Diffractor (1/1) parallels. Packing two autographs per box, the hard-signed content in 2018 Topps High Tek Baseball really pops. The primary High Tek Autographs set comes in Green (#/99), Blue (#/75), Black Orbit Diffractor (#/50), Orange Orbit Diffractor (#/25), Red Orbit Diffractor (#/10) and Gold SpecTEKular Diffractor (1/1) editions. There are also numbered Black and White Image Variation Autographs with a Gold SpecTEKular Diffractor (1/1) parallel. In addition, there are signed versions for the PyroTEKnics, PortraiTEK and Rookie TEK (#/50) inserts, which are each numbered. All three have Gold SpecTEKular Diffractor (1/1) parallels, and PortraiTEK has a Black version limited to 50. Finally, Tek Buyback Autograph cards feature original Tek releases that are signed on-card and numbered to just 10 copies. Order 2018 High Tek MLB boxes direct from Toppps for $159.99. 112 cards. Buy base cards on eBay. Rainbow Foil pattern - 10 per pack; Magma Diffractor pattern - 3 per pack; Orbit Diffractor pattern - 2 per pack; Galactic Diffractor pattern - 1 per pack. 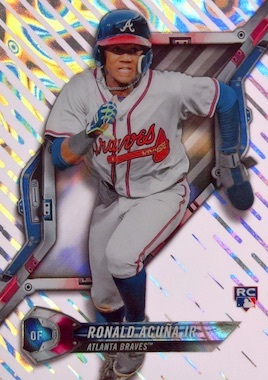 RAINBOW FOIL PARALLELS: Blue #/150, Green #/99, Black #/50, Orange #/25, Red #/10, Gold 1/1. MAGMA DIFFRACTOR PARALLELS: Green #/99, Black #/50, Orange #/25, Red #/10, Gold 1/1. ORBIT DIFFRACTOR PARALLELS: Black #/50, Orange #/25, Red #/10, Gold 1/1. GALACTIC DIFFRACTOR PARALLELS: Orange #/25, Red #/10, Gold 1/1. PARALLEL CARDS: Gold SpecTEKular Diffractor 1/1. 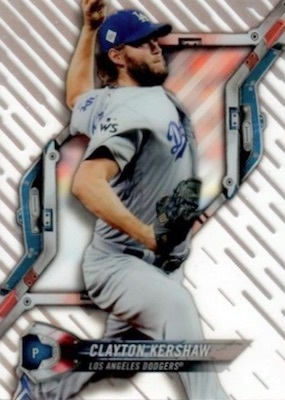 Buy 2018 Topps High Tek MLB autographs on eBay. PARALLEL CARDS: Green #/99, Blue #/75, Black Orbit Diffractor #/50, Orange Orbit Diffractor #/25, Red Orbit Diffractor #/10, Gold SpecTEKular Diffractor 1/1. 6 subjects. Serial numbered #/10. 21 cards. Serial numbered #/50. PARALLEL CARDS: Orange #/25, Gold SpecTEKular Diffractor 1/1. 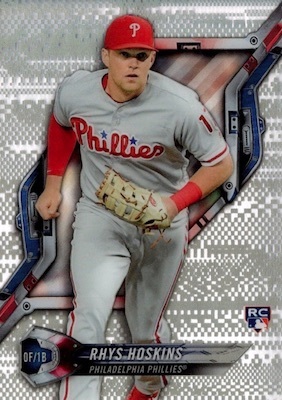 View the full 2018 Topps High Tek Baseball checklist spreadsheet. Similar to past sets, the 2018 Topps High Tek Baseball patterns split the base set nearly in half. This time, the groupings are based around league affiliation. 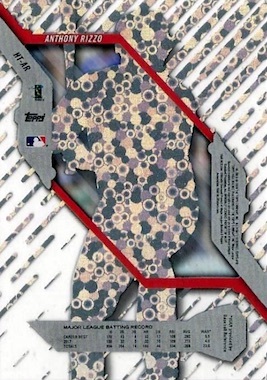 So, American League players only have AL pattern variations and National League players only have NL pattern variations. Nearly every name has been verified so it should be an easy way to immediately know the subject's pattern options. The gallery below groups the patterns based on the apparent rarity with the most limited versions occupying the highest pattern number. It appears that there are only four main patterns per player, with the many parallels providing extra rarity. This includes Rainbow Foil (10 per pack), Magma Diffractor (3 per pack), Orbit Diffractor (2 per pack), and Galactic Diffractor versions (1 per pack). Let us know if you spot anything different. These are the different designs found on Pattern 1 for each player. Parallels are listed for each option. Hello again Trey. In the Product Details the hobby boxes are listed as 1 Pack of 40 cards. When I go on eBay ALL the hobby Box listings show & say 10 Cards Per Box. Is this just a typo mistake on your part or is this supposed to be the case? Is it 1 Pack of 40 cards or just 1 Pack of 10 cards? Thanks buddy. Thanks Trey. 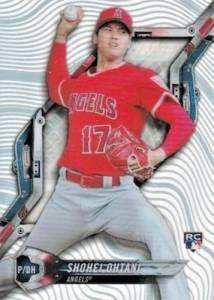 I’m not normally a buyer of the High Tek cards but love the looks of these cards for 2018. 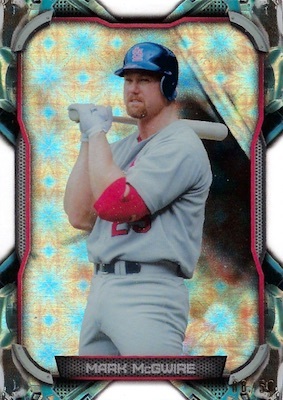 Do they usually have 2 different products/sets upon release of these High Tek cards? I normally stick with Bowman’s Chrome & Bowman’s Best each year so my knowledge on the High Tek cards is limited. Thanks again Trey. Bowman High Tek started last year, so this is the second year of two different Tek versions. Thanks Trey for everything that you provide & do for this website. You do an excellent job not only with checklists but also answering questions. Parallels only apply to Pattern 1 from I have seen. Not one San Francisco Giant. They may be bad, but come on. Stunning cards and superior quality and value. Too bad Topps does not pay such attention to detail in its other products. There is no excuse for miscuts, print lines, dinged corners, poor centering, etc. in any pack, especially in this modern tech age. 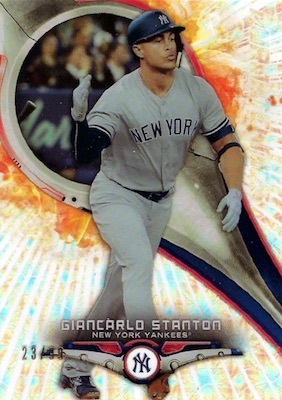 Are you listening, Topps? Great product. But i think they have some differant base parallels then just the 4 listed. I have a few that are similar to the 4 but have different effects in the background. There are four main Pattern designs and also multiple parallels which are noted in the parallel section of the checklist. 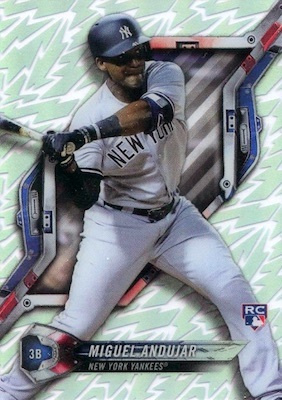 I think it’s is a great product with high quality acetate cards, eye-catching patterns and parallels, a strong checklist, and some sweet on-card autos, at a decent price point. There are always things that can be improved, but I still give it 5 out of 5 stars! Is there any chance you could post pictures of the various backs, as it seems this makes it a bit easier to try and identify the variations? While I like all the variations, it has proven a bit difficult to try and distinguish between the various cards (especially on sites like eBay when all the sellers do not include pictures of the back). Thanks! I don’t have the images of the backs. Is there something specific about the patterns tab that is giving you problems telling them apart? I was unable to simply reply, sorry. How should the Rainbow Diffractors appear? Are they simply plain on the back? Okay, so we are talking about the parallel patterns. I believe what you said is correct, although the front and back both show the same design. However, I understand what you mean about the back as the pattern displays on the silhouette of the player. 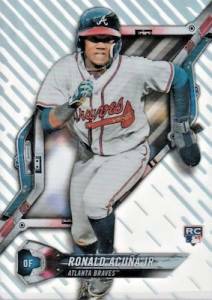 Rainbow parallels show nothing noticeable on the back. But there is a Refractor shine on the front from what I can see. I think this is the underrated release of the year. Great value and terrific autos. 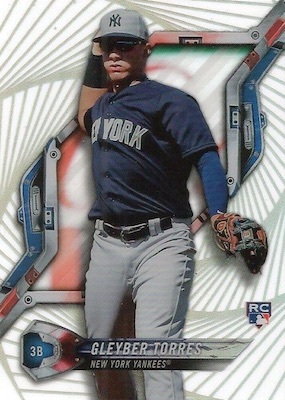 Question for Trey – the first card in the set in the AL (Anthony Banda) seems to have the NL marking (at least the one I got). Is that true of others? It seems that Banda is the exception as far as the patterns. 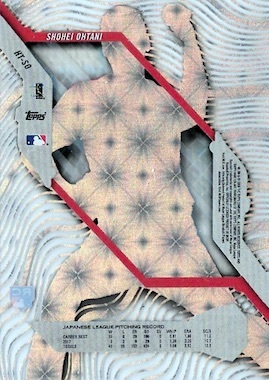 His cards feature the NL designs. the checklist shows that in that section it only has one parallel and its 1/1. if thats the case how do i have 3 redemption cards that are pyroteknics auto parallel of harper alone?? 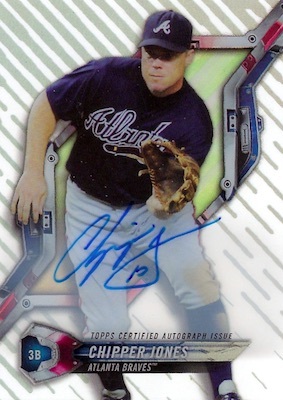 The confusion is because Topps labeled all the redemptions as Pyroteknics Autograph Parallel. I believe this is the base autograph, i.e. the autographed parallel of the main insert, not a parallel of the autograph. 2018 Topps High Tek Baseball Factory Sealed Hobby Box 2 On Card AUTOS!